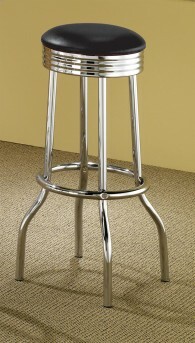 2Deedra Chrome Plated Soda Fountain Bar Stool in chrome with black cushion. 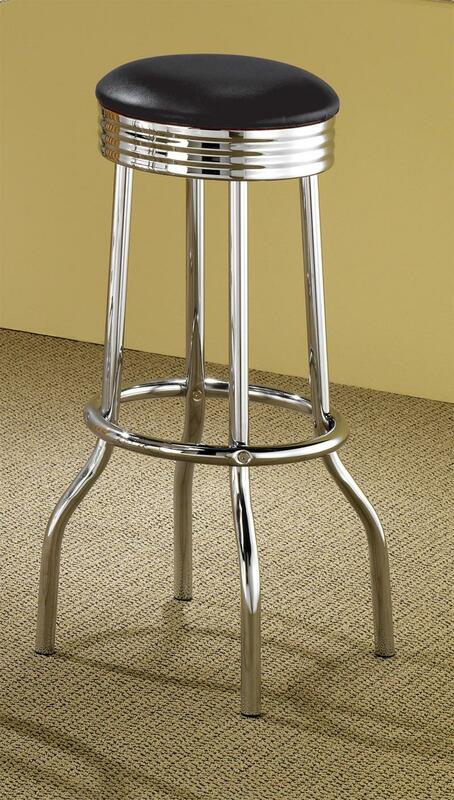 Furniture Nation is proud to offer the Deedra Chrome Plated Soda Fountain Bar Stool online. 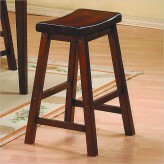 We serve customers across the DFW region including Dallas, Desoto, Lewisville and many more. L19" x D19" x H31"